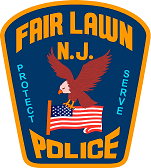 The Traffic Bureau is responsible for handling the many traffic issues in Fair Lawn as well as the review of all motor vehicle crash reports that are completed daily by the Patrol Division. The main goal of the Traffic Bureau is to help reduce the number of motor vehicle and pedestrian accidents and make the roadways safer. Officers monitor potential problem areas by observing or utilizing radar and issue warnings or summonses for violations of vehicle and traffic laws. The Traffic Bureau also handles establishing detours and traffic details for various functions in town throughout the year. Members of the Traffic Bureau are trained in crash reconstruction and are called to the scene of serious or fatal accidents to assist in the investigation. Additionally, the Traffic Bureau is responsible for the Fair Lawn School Crossing Guards and staffing the Broadway / 30th Street school crossing post, a State of NJ mandated post. The Traffic Bureau is also responsible for the parking enforcement Officer. To schedule a child car seat install, email traffic@fairlawnpd.com to schedule an appointment for a free installation. If you have a traffic concern or issue in the Borough please e-mail traffic@fairlawnpd.com.